It’s a LIMITED TIME OFFER AVAILABLE FROM TODAY THROUGH Noon April 8th. After that, they’re collector’s items! 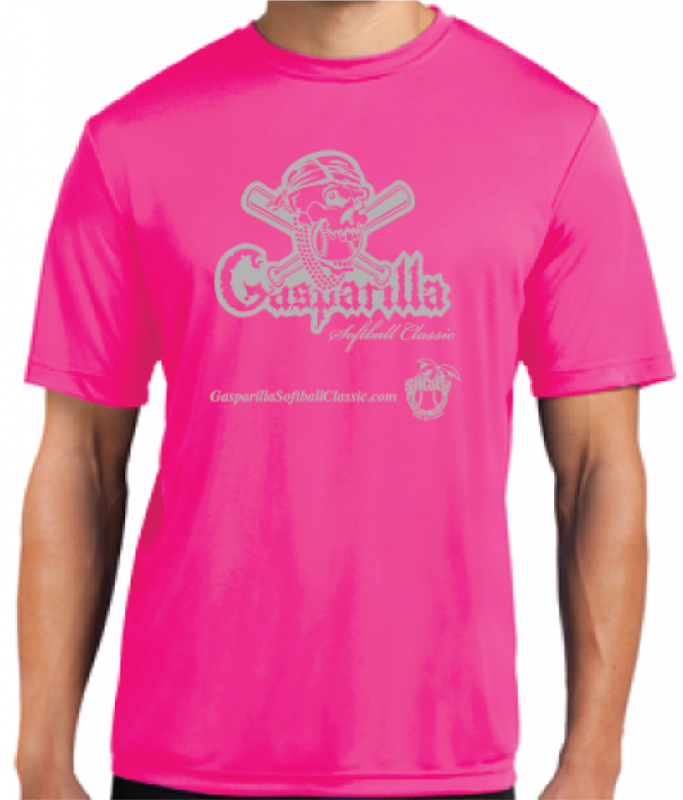 Be seen in your very own 2019, 25th annual Gasparilla Softball Classic NEON PINK frock! Available in S, M, L, XL, 2X, 3X, 4X & 5X — all $20. 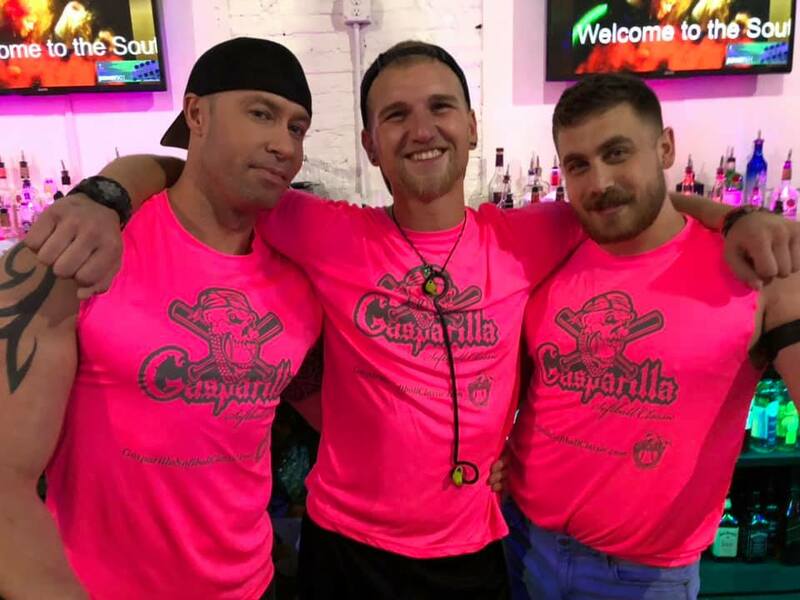 These are lightweight moisture wicking shirts, not cotton. If you want mail away (USPS Priority Delivery extra), we’ll make arrangements offline after your purchase ($7).